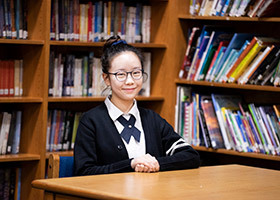 ARLINGTON — Maggie Le’s teachers at St. Joseph Catholic School in Arlington give many reasons for what makes the eighth grader an outstanding student. “She’s never one to want attention, but she’s not shy,” said Maggie’s social studies teacher Kimberly Coomer. Toni Pouttu, Maggie’s language arts teacher, said, “She’s got a beautiful spirit, just very kind to everyone. and comfortable in her own skin. 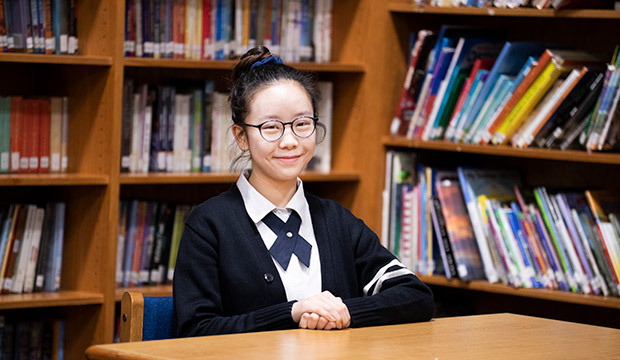 Soft-spoken and friendly, the 14-year-old is a member of the school’s National Junior Honor Society and her favorite subject at school is math. She thinks she may want to be a dermatologist some day or an entrepreneur. Watching the reality television show “Shark Tank” helped spark the entrepreneurial interest, said her father Henry Le. Outside of school, Maggie likes to stay busy. Each week she participates in a swim team, piano lessons, and Vietnamese School at Vietnamese Martyrs Catholic Church in Arlington. Henry Le came to the United States at age 16 and wants his children to learn about Vietnamese history and culture. In addition to her many activities, Maggie finds many ways to give back to the community. As part of the Vietnamese Martyrs Catholic Youth Ministry in association with Hand-in-Hand Share Missions, she helps at an annual health fair for Vietnamese community members. Every three or four months, she plays piano at a local assisted living center. During the Christmas season, she played several times. “I like to help out at my church and at charity events there,” Maggie said. Maggie appreciates attending a Catholic school. Henry and Katherine Le also send Maggie’s sister Madeline, 11, and brother Brendon, 8, to St. Joseph Catholic School. Maggie’s teachers said they are blessed to have her as a student.